Now this is a car, or truck I guess, that most people have never heard of. Even as a lifelong gearhead I had never once seen this vehicle or anything like it really. 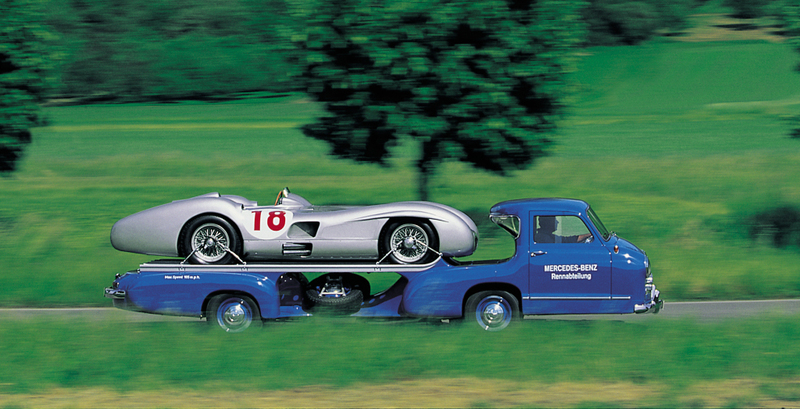 Made in the 1950’s by Mercedes Benz, the Race car Transporter is most definitely one of a kind. 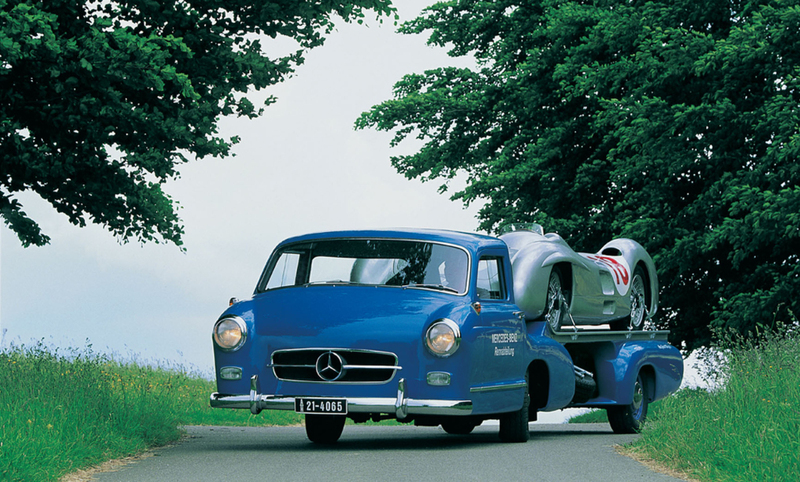 It was used back in its hay day to transport Mercedes Benz Race cars back and fourth between race events and the factory where the cars were worked on. 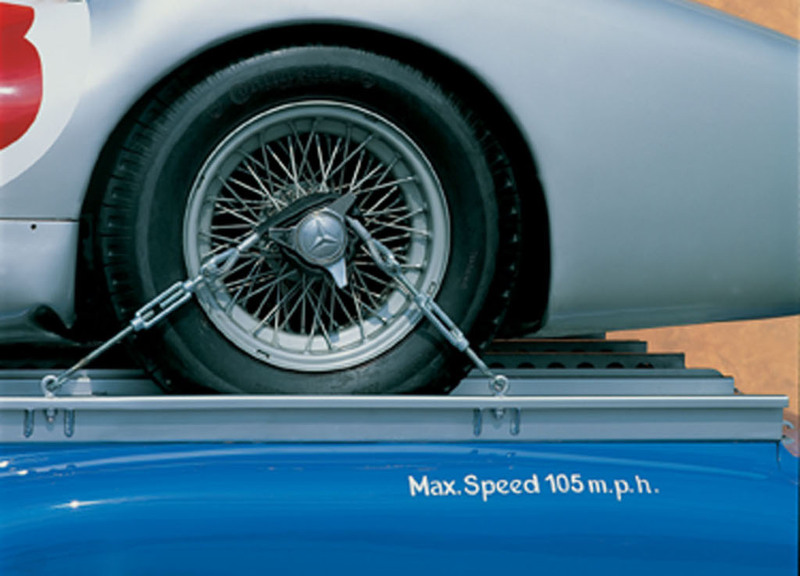 It was considered to be the fastest Transporter in the word at the time with a top speed close to 110mph. The history of the car is quite unique, there was only one built and the sole purpose was to have a vehicle that was fast while being able to carry the weight of a race car. 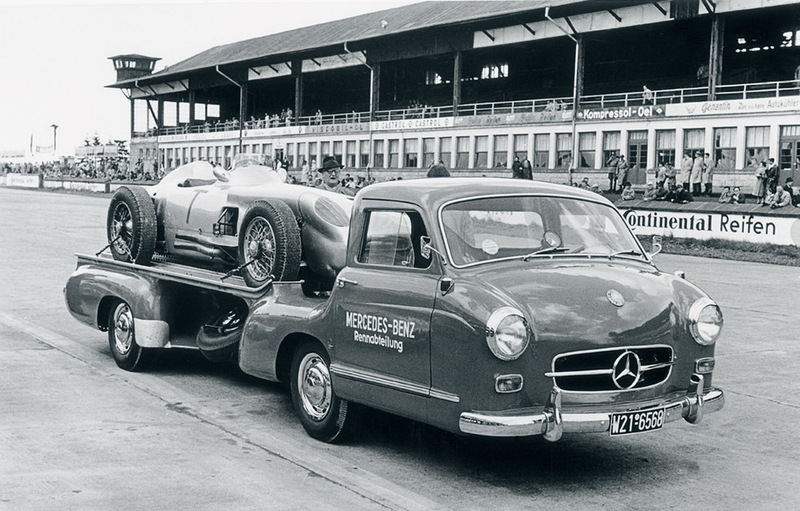 In those days Mercedes Benz refused to work on their race cars at the track. 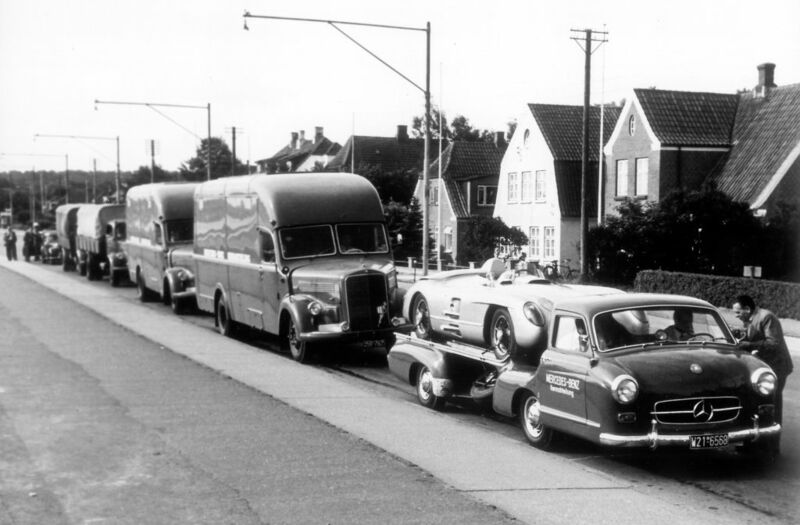 So after each race the race car would get loaded up onto the Transporter and a driver would make a beeline for the Factory where all the repairs were done. Once the car was finished it would get loaded back up and head back out to the track. In those day most of the races were held around Europe so it was possible for the company to do this. 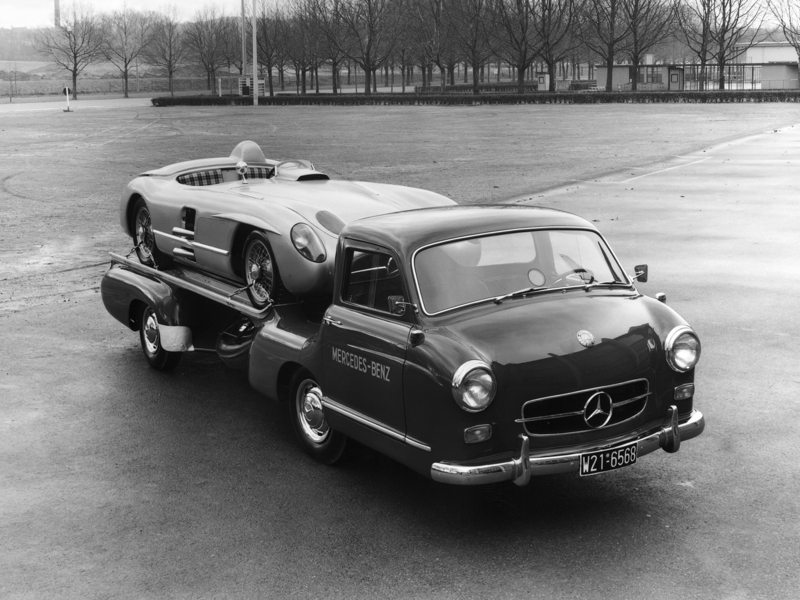 What made the Transport so quick was the 3.0L straight six that also powered the famous 300 SL Gullwing that had roughly 220hp. I cant even imagine driving this thing at the 108mph top speed, especially with how far forward you sit in the thing. You are talking a foot or more in front of the front axle. Then to have it loaded with an expensive race car and doing upwards of 100mph on the way back to the factory, just to turn around in the morning and head right back. It seems like you would almost need to recruit a second race car driver just to handle the Transporter. Mercedes only made one of these unique beauties and when it was no longer needed somebody made the brilliant decision to crush it and use it for scrap. Had the original still been around it would be worth millions. Once MB realized they had made a mistake it was decided that they would make a new one that would be an exact match to the original. They reported spent upwards of $2 million making sure that everything was exactly the same and it now sits in a museum for future generations to admire its obscurity. Famous gearhead Jay Leno got himself a replica that he has made a few changed to and supposedly uses it regularly as an actual car Transporter. Here is a video of Captain Denim showing off his one of a kind toys.